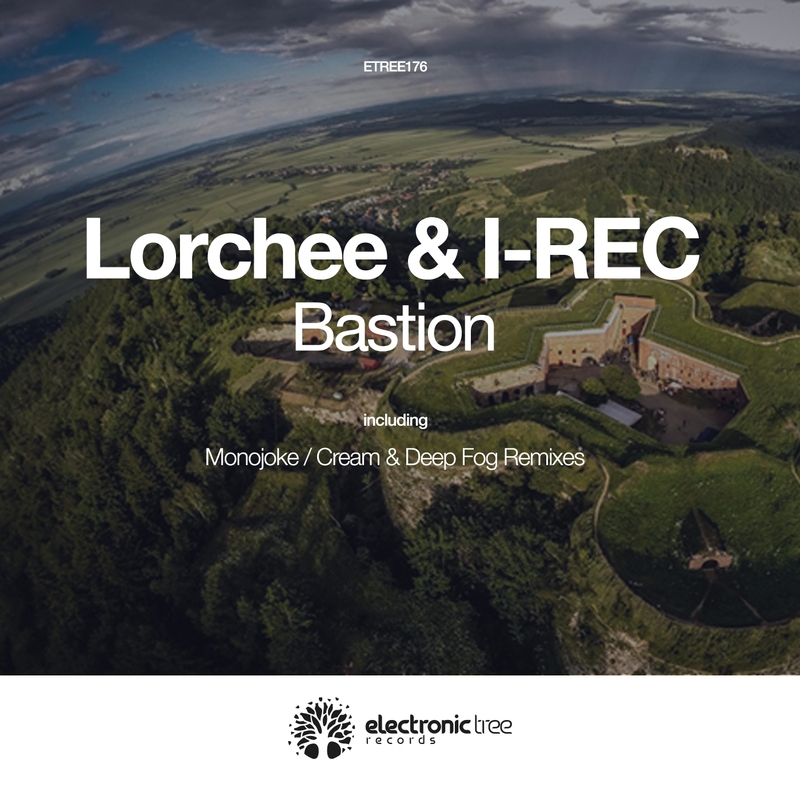 The latest release on Electronic Tree welcomes Lorchee & I-REC back to the label for a brand new single. The Polish duo last appeared on the Polish imprint in April of 2015 with their ‘Zwevende Wolken EP’. A fabulous two track excursion with remixes from Loquai and Lost Chord. The duo now make their long awaited return with a brand new single entitled ‘Bastion’ alongside remixes from Monojoke and Cream & Deep Fog. The original mix leads the release off and finds the Polish duo crafting a tough, driving track with firing percussion and several big moments along the way. An energetic first act introduces big lead stabs which carry the track into a first break where the tension goes up several notches. With a drop the production grows even larger and the dynamic hits along with wavering vocal pads are a big proponent in this. Definitely geared for peak time, this is sure to bring the house down on an up for it dance floor. The two remixes supplied here definitely add their own unique twists on the track and take it somewhere interesting as well. First up Monojoke, who is usually the producer with the biggest sounding production on any package goes a bit deeper here with outstanding results. The Guy J favourite has put a tribalistic spin on the piece with rolling drums and very catchy arps, taking the track into an epic main break. Never one to shy away from a big melodic moment there’s a degree of subtlety here and a very compelling musical story. The return of the groove is positively epic however, with a rush of indistinct melodies and spacey effects building to a massive conclusion. More amazing work from Monojoke. The final remix on the release is provided by Cream & Deep Fog who are making their 10th appearance on the label. Known for their warm and emotive take on progressive music the Polish duo masterfully rework the tougher edged ‘Bastion’ into a smooth driving gem. The phasing vocals and a well carved groove immediately stand out before a wealth of effects cut through the air. As indistinct melodies slowly appear the main break commences and the ragged effects get washed away with a trail of sonic dust. It’s a moment of serenity for sure but the subtlety of it is gorgeous and the way the groove picks back up with little fanfare is excellent as well> Gorgeous remix from Cream & Deep Fog which rounds out a quality release on Electronic Tree. Don’t miss it.